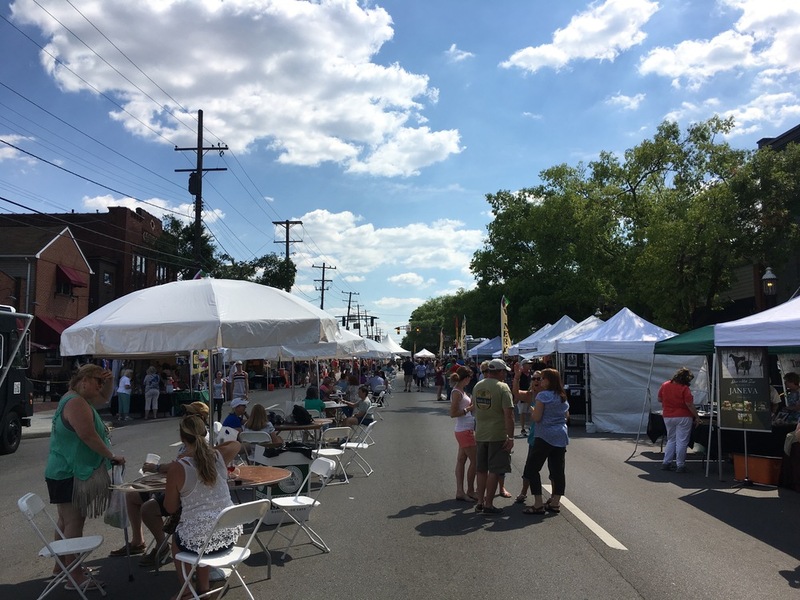 C!SN 6.19.16: Grove City Wine & Arts Festival, Wholly Craft art classes, Mezze - Upper Arlington, Pride Parade. Jessica is back with us and has many ideas for the weekend. Check out the links below for more information. We chat about what is coming up and also what we did over the weekend. On different nights, Jessica & Jason, and Burke & I, ate and Mezze - Upper Arlington for the first time. The fresh and tasty meals impressed us all, and lucky for us all, we live close by! Stop by Mezze and you will be greeted by friendly and helpful staff who will explain the order process and their flavorful food choices. Wholly Craft offers a variety of art classes and, keeping it calm, Jessica took a watercolor class last week. With a prime spot in the shade, she and Jason enjoyed the Pride Parade, while Burke and I headed to Grove City for their Wine & Arts Festival. We tasted a variety of wine, and learned wine makes us feel very different than the craft beer we are accustomed to! Great job, Grove City, for a fantastic festival! If bourbon and cigars are your thing, head to Grove City Historic Town Center on August 13 for their Bourbon Tasting event!